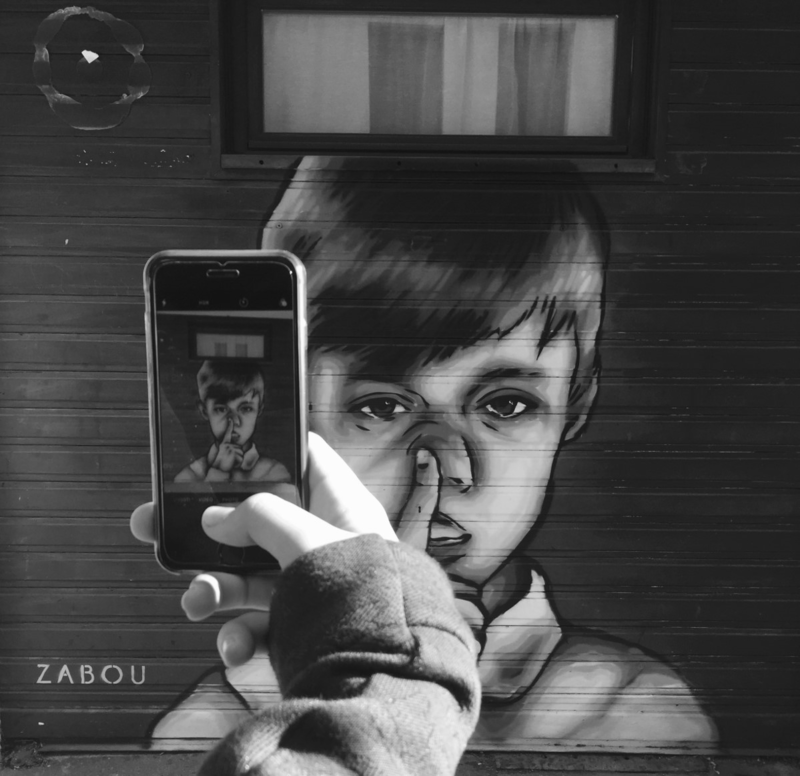 This piture is a stencil by Zabou that shows a little boy who is putting his finger in his nose. This stencil can be seen in the 13 borough of Paris. The message behind this picture can be the bad treatment of children because the colors of the stencil are black and white. I like this picture because the kid is really cute and he looks kind.